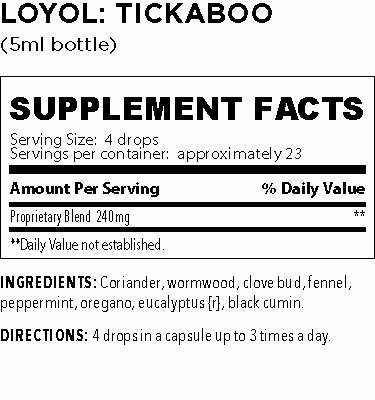 The natural collective compounds found within the essential oils that make up Tickaboo blend™ have traditionally been used for internal and external parasites. In human research, oregano oil has completely eradicated various parasites, including Blastocystis hominis, Entamoeba hartmanni, and Endolimax nana. 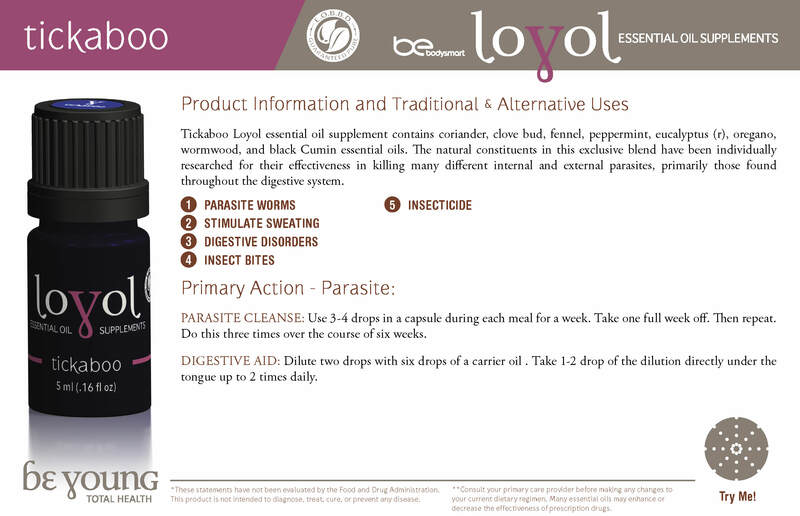 Additionally, black cumin, wormwood, and thyme all possed strong antiprotozoal properties. Add 2-3 drops to a vegetable capsule fill the remainder with a carrier oil and take orally. Insert the vegetable capsule in a piece of meat and feed to your pet(s) to assist with worms.